Of course — and the X40 holds true to those principles. 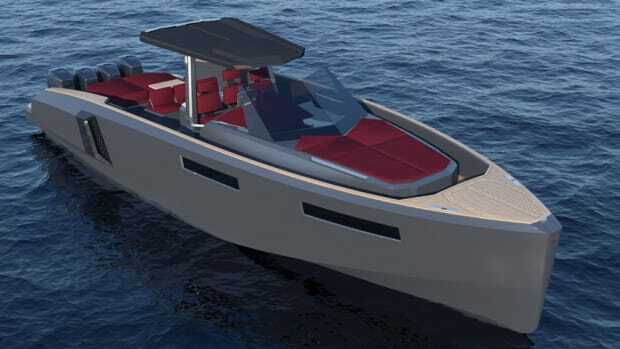 It is the first of three new builds on Reliant’s schedule for the X series and is slated for delivery early in 2018. 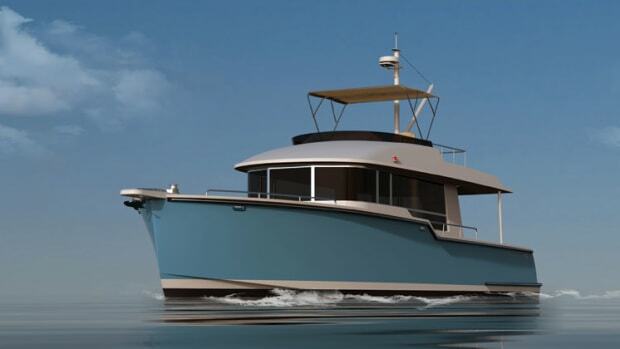 Ewing calls the X40 a modern interpretation of an express boat that reflects the owner’s sense of and desire for a sporty yacht that will be at home on the Riviera. Her profile is wonderfully devoid of geegaws and other excrescences, leaving the shape to speak for itself. The sheer line is straight and gets its visual appeal by gently sloping from stem head to transom. 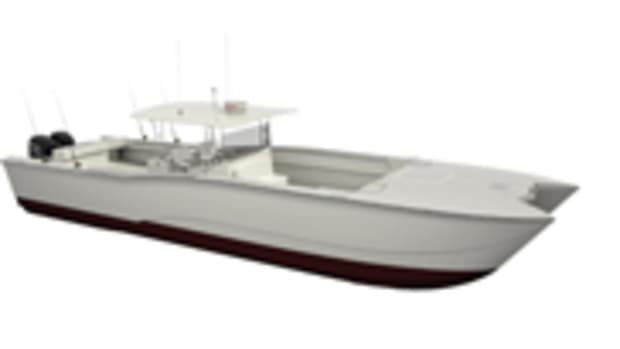 Express boats often need a lot of freeboard in the forward sections to allow comfortable standing headroom below deck, and the X40 is among those. This amount of freeboard normally would give me pause, but the design team has made it work. Three rectangular port lights on each side break up the mass, and they get help from the chine/spray rail. Also, the nearly plumb stem and crowned deck help distract us from focusing on the mass. What’s more, the X40 will show a different look when she’s on the water, drawing on the aesthetic benefits of light, shadow and reflections. Conventional wisdom tells us that a design’s harmony relies on avoiding surprises. 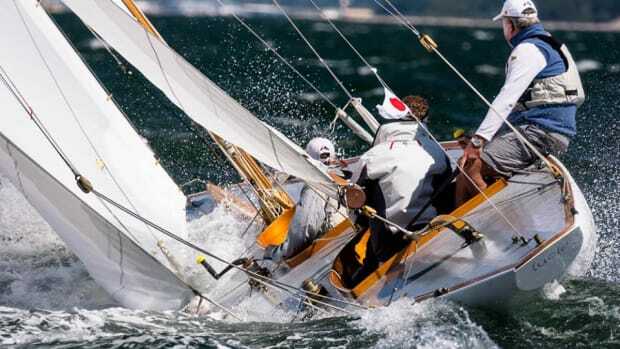 For example, the angle of a reverse transom ought to mimic that of the stem, and echoing that same angle at the after terminus of the deckhouse enhances the harmony. None of that is true for the X40, but the mix-and-match treatments don’t fight with one another. Go figure. 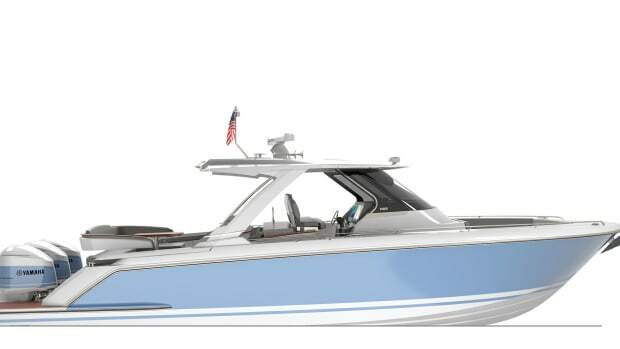 Two lines that do quote one another are the sheer and the lower edge of the hardtop — a small but important detail that adds to the boat’s character. That top lifts off, opening the X40’s main deck from transom to windshield. 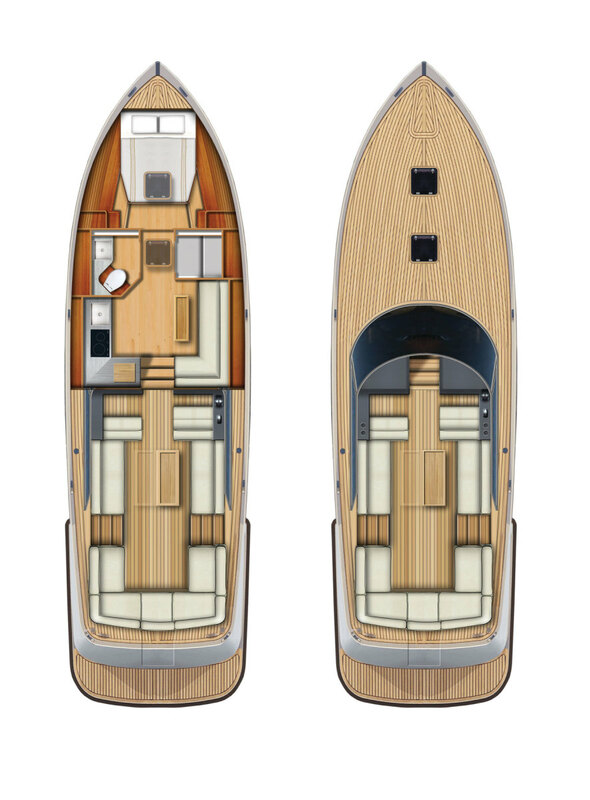 Half the boat is cockpit, and the single-level arrangement seems ideal for socializing. Cozy accommodations for two fill the forward half of the X40. 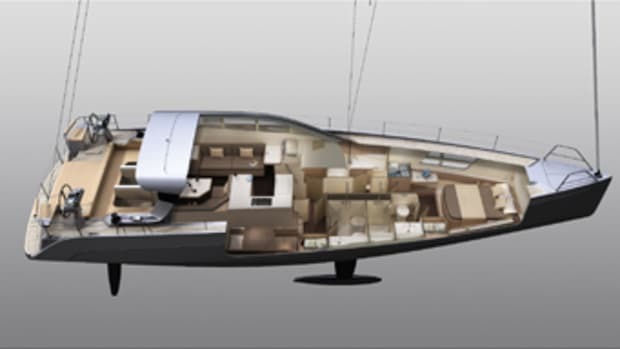 Three steps down from the main deck are a galley and head on the port side, an L-shaped settee and shower compartment opposite, and a double berth forward. Reliant is building the X40 in carbon fiber. 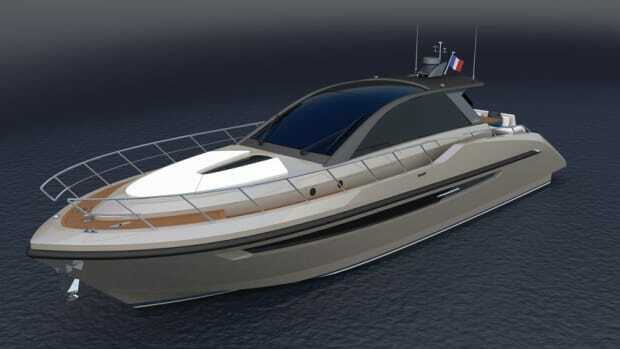 This lightweight construction and her deepvee bottom ought to let her reach the designer’s estimate of a 40-knot top end. 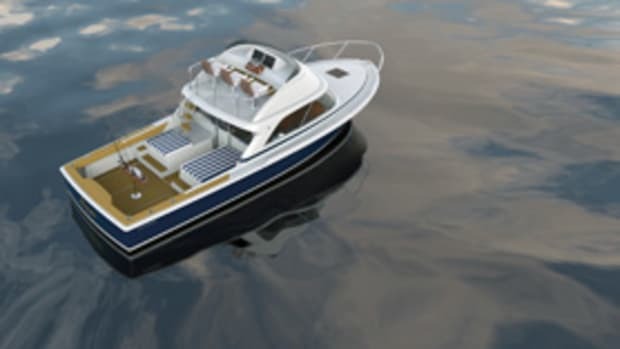 Among the standard features are a genset, air conditioning, joystick control, state-of-the-art electronics, leather seating, a refrigerator/freezer and, best of all, a Seakeeper gyroscopic stabilizer.